On Christmas Day of last year, the German city of Augsburg ordered the evacuation of 50,000 of its citizens. It was the largest such evacuation in the country since World War II. This wasn’t precipitated by a chemical leak or a terrorist attack, but it was the result of a bomb – a very large, old bomb – an unexploded ordnance weighing more than a ton. 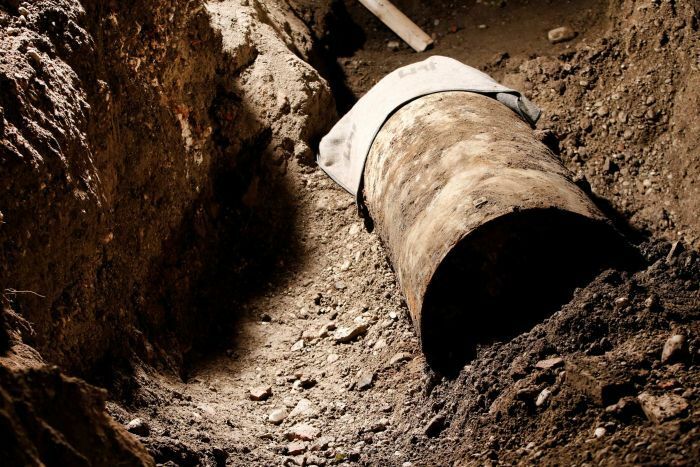 A survey and construction crew had been working on a new underground garage when they made the unpleasant discovery of a British munition dropped more than 70 years earlier. And news to me: This happens all the time in Germany. Tens of thousands of citizens are routinely evacuated as these literal ticking time bombs are discovered and diffused all over the country. Between 1940 and 1945, the U.S. and British Air Forces dropped more than a million bombs on Germany. Several hundred thousands of these never detonated. Upon impact they buried themselves deep in the ground, and they remain undetected until a new construction or infrastructure project uncovers them. Upon discovery, the German bomb-disposal squads are called, among the busiest such units in the world, to do their precarious work. But what choice do these crews have, and what choice do German citizens going about their daily lives have? These devices that lie beneath the ground are far too dangerous to leave as they are. I suspect we all have such material within us; not literal explosives, mind you, but these volatile “bombshells” from our past that we keep buried deep down inside. They tick-tick-tick away, dangerous, fearful to be touched. So, we leave them where they are, hoping that life or circumstances doesn’t jostle their fuses. And it’s no wonder why we leave such things undisturbed, for to do the inner work of the soul is a hard, turbulent task. We feel that turning our attention to the menacing threats within us – our pain, hurts, resentments, wrongs, or bitterness – will upset our routine at the very minimum and might even blow our lives to smithereens. The only way, it would appear, to experience anything resembling a hopeful tomorrow is to do business with yesterday: To exorcize our history, our past, and our pain; to take hold of what we have done to others, what others have done to us, what we have done to ourselves, and disarm the threats. Only through this sort of cathartic neutralization can we can give the past its proper burial, and get back to living confidently for today. Great analogy. And it’s true. We need to do the honest work that sets us free and increases our capacity for joy.